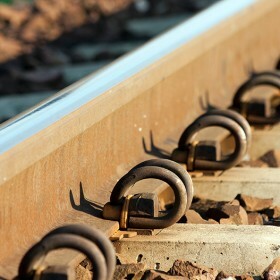 The fastening system SB 4 VK is a screwless solution for concrete sleepers on ballasted tracks. Its elastic rail pad PKV and the insulators WKW ensure the electrical insulation of the system and reduce the sleeper and ballast load. By now, Vossloh’s SB-systems are installed on a total railway track length of 9,000 km.